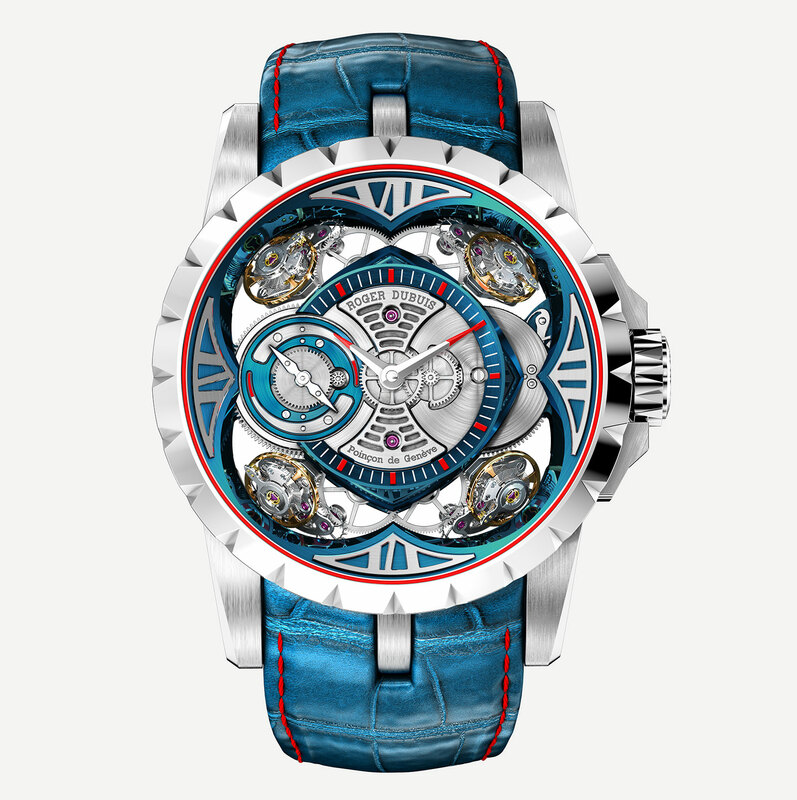 First introduced three years ago, the Quatuor is one of Roger Dubuis’ most complicated wristwatches, equipped with four inclined balance wheels. At SIHH 2017 the watch will get a facelift, with new blue and red livery, and more notably a watch case in cobalt-chromium alloy that’s the result of complex processing. The case material is made with Micro-Melt, a technique developed by American speciality metals producer Carpenter Technology. Micro-Melt starts with the alloy being melted and then injected into high-pressure gas stream via vacuum induction. The pressure of the gas atomises the alloy, turning it into a fine powder. Next the powder is mixed and filtered to retain only particles of certain size, then poured into canisters that are sealed and subject to hot isostatic pressing. This is a high temperature and high pressure process that maximises the density of the metal. The result is a metal billet that’s up to 100% dense, without even microscopic air bubbles or inclusions. This is then turned into the case of the new Quatuor, which is the same 48mm as the original. 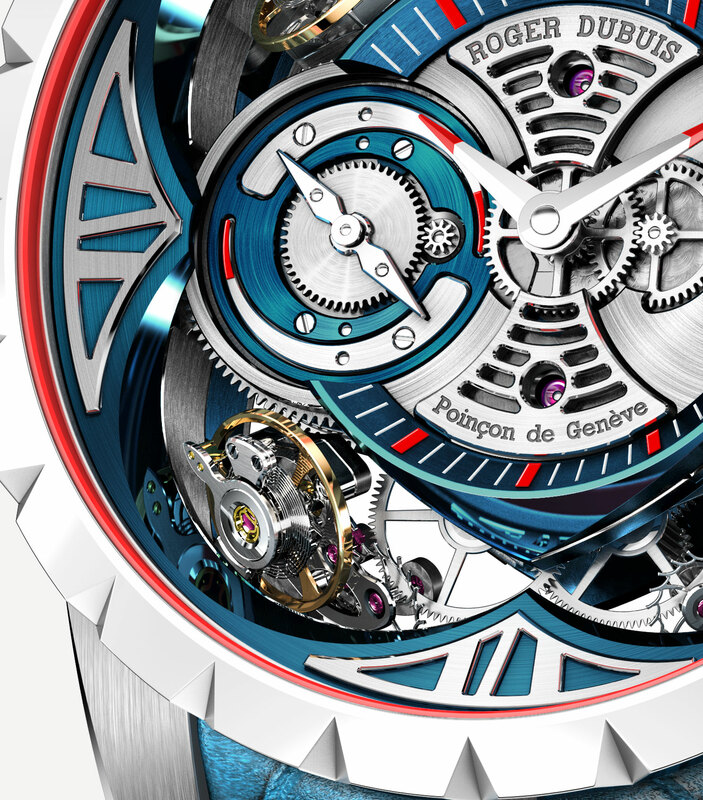 While Roger Dubuis has not revealed the exact cobalt-chromium alloy used for the Quatuor case, such alloys tend to be hard, strong and corrosion resistant, being often used in surgical implants and aircraft parts. 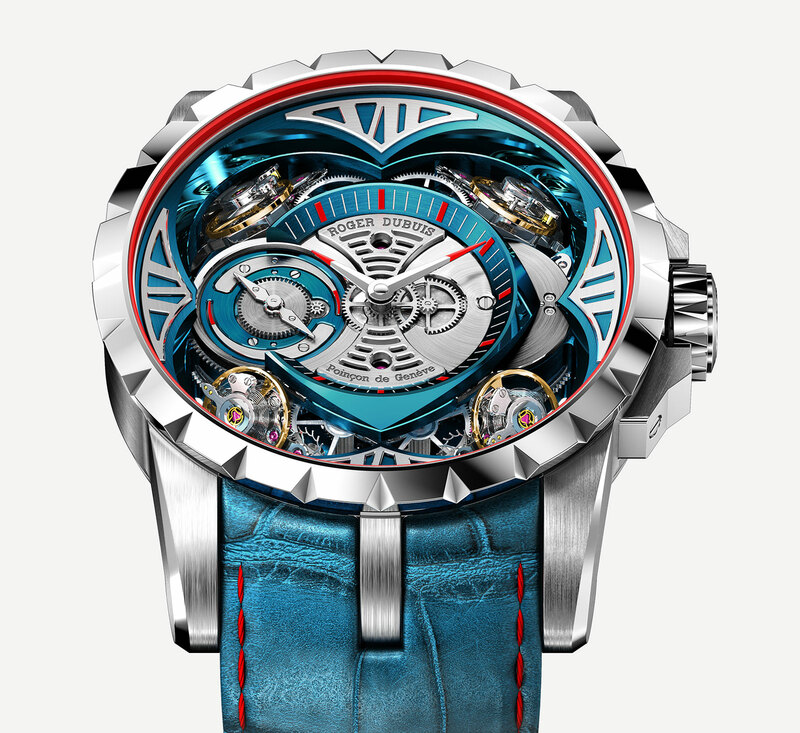 The cobalt-chromium case is matched with a blue coated movement with red accents. Though the colours have changed, the movement remains the same RD101. It’s a hand-wound calibre with four balance wheels set at an incline, with two differentials that averages out the rate of each pair to compensate for errors. The time shown is a yet another average of the resulting average of the two differentials. The Excalibur Quatuor Cobalt MicroMelt is limited to eight pieces. No word yet on when it will be available, but the price will be about SFr400,000, equivalent to US$410,000.